Are UK broadband speeds on the up? 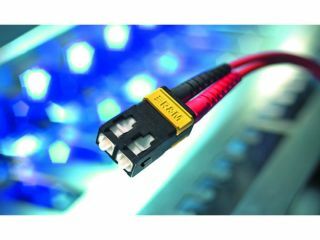 Broadband speeds are always a bone of contention, especially in the UK, as claimed speeds often bear little resemblance to actual speeds. Comparison website Broadband.co.uk, however, believes that average broadband speeds in Britain are on the up from 3.2Mbps in April 2008 to 4.137Mbps today. "Unlike other speed test services we record the internet service provider (ISP) by IP address, making our ISP recording very accurate rather than relying on self-selection," state Broadband.co.uk about the tests. Computer Active, however, has spoken to Andrew Ferguson, editor of Think Broadband, who believes the test may not be all that accurate. "Not sure I would agree totally with their conclusion, as on looking at the results it is only for the hours 8am to 6pm," Ferguson told Computer Active. "Also one serious flaw with their speed tester: it measures a peak speed rather than a more accurate method, which is to measure the time taken to download a set amount of data." In the Broadband.co.uk tests, Virgin Media's broadband service came out top for speediness, with O2 in second place.